Are You looking for a new challenge within development of global IT structures? 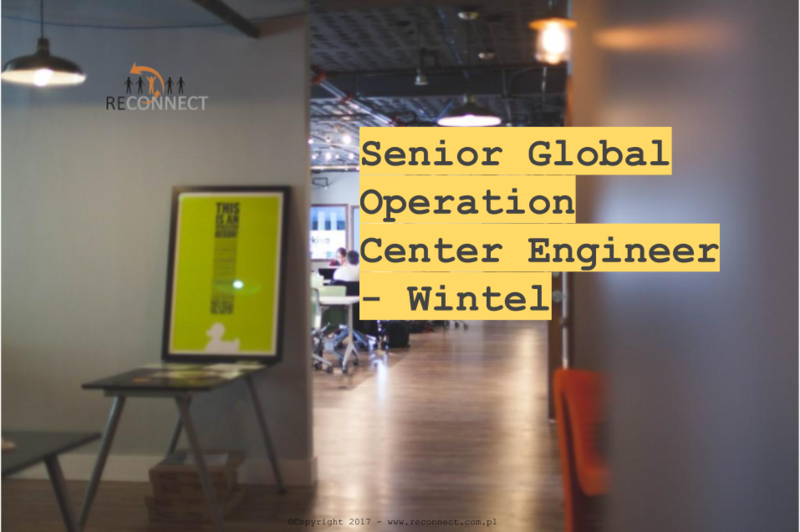 Maybe this job as Senior Global Operation Center Engineer – Wintel in Poland, Krakow is for You! The Senior Global Operation Center Engineer is a position within Global IT Shared Service Center (GSSC) and reports to Service manager for Hosting and Collaboration. This role will be part of the GSSC Global Operation Center(GOC) which is a new function being built up to be the control center of all Infrastructure services that GSSC delivers, securing everything is working as expected by working closely with our monitoring solutions as well as being the interface to our customers for incidents, requests and changes. In this role, you will provide operational support for all GSSC Infrastructure services globally, managing incidents, requests and acting on monitoring alerts in close collaboration with our internal teams as well as external partners. In close collaboration with our internal technical teams and customers as well as external strategic partners, you will increase the quality and efficiency for the GSSC DC infrastructure. Operational ticket-handling related to the GSSC Infrastructure area, providing support and dispatching to partners where needed. Participating during the delivery phase within IT Infrastructure area. Support in keeping monitoring systems updated as well as handle operational related tickets. Contribute so the Global DC Infrastructure devices are updated within the CMDB after change. Contributing in service monitoring, performance and capacity utilization. Contribute keeping services in the service catalog updated and maintained. Participate in escalation phone calls for critical incidents. General knowledge of following Microsoft solutions with expertise in, at least, one area: Active Directory, Skype for Business, MS Exchange, MS SQL, Windows 2008/2012/2016 server support. Knowledge and demonstrated technical experience with Azure will be an asset. Knowledge of network monitoring solutions considered a plus. Experience in working with global companies and vendors. Possess a strong Customer orientation. Strong understanding of Infrastructure Services. High level of verbal and written communication. At least 3 years of experience handling operational related tasks and some troubleshooting within mentioned technologies in the IT Infrastructure area. The ideal candidate should possess analytical and communication skills and be able communicate information consistent with the target receiver. The candidate must be disciplined, dynamic and flexible to manage multiple operational tasks, work effectively in a rapidly changing environment and meet ongoing and overlapping deadlines or escalations. ITIL certifications is a plus. Technical university education will be an asset. Ability to effectively communicate in English language verbally and in writing is mandatory. Highly organized, Pro-active, Self-motivated, Excellent team player with a positive mindset.